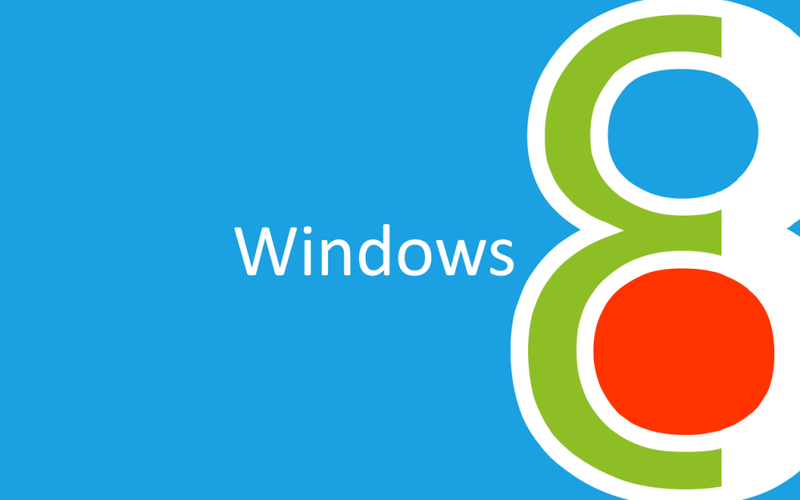 It is very well known that Windows includes three types of accounts: Account Director, in which can be controlled fully Baloyndoz, and there are guest account where the powers that be limited. But with Windows 8 has been to add a new account called Kiosk. This type of account is similar calculations guest (guest), but it differs from them as you can identify applications that can be used for the guest. 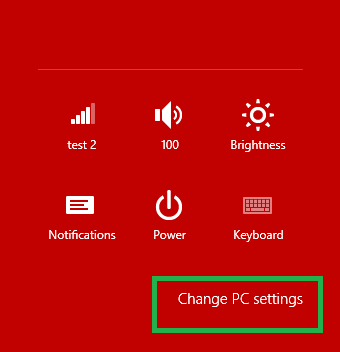 For example, when you create an account (Kiosk) in Windows, you also specify applications that can be used by this guest in your computer, so your computer will be insured against any breach to protect him, but for the guest and can not be run only applications that allowed him to run. 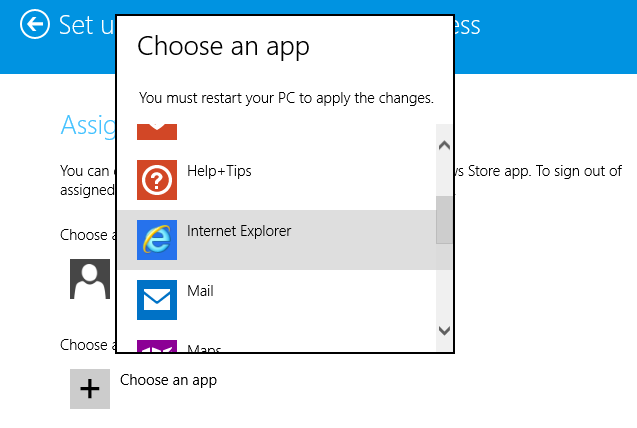 Then click on the sign in without a microsoft account. Choose a user name was also Basord, after the completion of the addition log in to this account, it is essential for all applications Taatbeth in Aladamin on account hosted account. Now after you log on to the account, come out of him and sign calculates Aladamin again been moved to the account settings settings, and this time click on the setup an account for assigned access. Then click on choose an app and select the account established by the terms of reference in order to limit the use of the applications. You can then choose the applications you want to give the user the possibility to run.